Is Your Weight Gain Caused by a Nutrient Deficiency? When we think about our bodies storing excess adipose tissue (fat) we often connect it to an overconsumption of nutrients. Whether it be, poor food choices, or stress eating overconsumption has always been a direct link and cause to weight gain. With our nation experiencing an influx in overweight and obese residence since the 1970s, diet companies and fitness experts have been making billions of dollars on the presumption that if you eat less and move more you will lose weight. Do these claims bare truth? Absolutely. However, is the root of the problem in this nation a lack of will power, or is it more deeply rooted in something greater? You see by eating less and moving more, you may be purely curing one symptom of a much greater problem; nutrient deficiency. This claim may sound outlandish, but from a biological and physiological standpoint it could very well be the key variable in our obesity epidemic. It can all be tied to our current environment and the production of our “food.” For those who have been struggling to lose weight this may be the key to their permanent success. Our bodies are complex and they require a gamete of nutrients both at the macro and micro level in order to run property. Purely existing at rest our bodies are going through hundreds of processes from the production of ATP, to Vitamin D Production and regulating our core body temperature. Our blood needs a constant pH of 7.35-7.45 in order to survive any shift in that pH our bodies experience horrible effects of acidosis or alkalosis. In order to retain osmoregulation (the balance between salt and water) we need potassium and phosphate electrolytes. Any depletion of that is often what causes marathon runners to drop dead. So why does the science matter? You see when depletion of important nutrients and minerals happen our bodies alert our brains to tell us to eat that nutrient! This is also known as a craving, and I have yet to come across a person who has never experienced one. Our survival often depends on such cravings. When I would train long distances, my body would crave two things, kool-aid and extremely salty popcorn. Reason behind that was my loss of sodium, potassium and the fact that my blood sugar had dipped to all-time lows. My body craved things it knew would bring my electrolytes back to normal level and fast. So how could this system our body has in place to survive go wrong? Simple, we no longer eat food, we eat chemically altered lab created stuff. We might be fooled into thinking those pop tarts and coke for breakfast is food, our bodies aren’t. After your body breaks down the pop tarts and extracts any nutrients it has out of it, your body will be looking to fill the nutrients it is missing. This the reason junk food is often called empty calories. For those who experience what they refer to as constant hunger this can very well explain why those who are overweight have insatiable appetites. People often can experience this with thirst, I could not count how many times I have had someone tell me how thirsty they were, and they go into the vending machine and grab a soda. For one, this contains very little actual water, and upon consumption your body will require additional water in order to flush those chemicals out through the kidneys. Now most people do not reach for a water at this point instead they wash it down with an additional soda. The body is signaling the brain to drink water, but we interpret the signal as drink liquids. Our brain will continue to signal us to drink until it has reacted the needed water intake. The same principle applies to food, our brains will continue to signal hunger until we meet our nutrient needs. 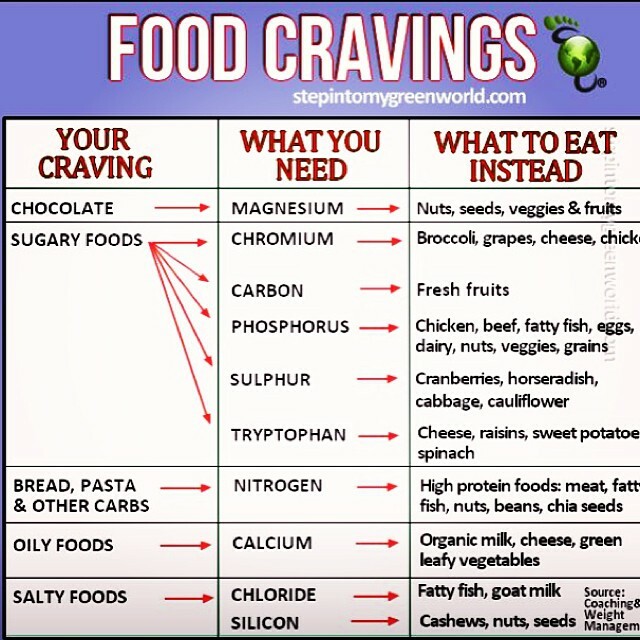 As we are chomping away at our fast food burger and fries our body is signaling what we think is hunger, but what our body is actually telling us is “please eat some freaking vegetables and some actual chicken.” If you diet is comprised largely of processed and chemically altered food there is a great chance that you are nutrient deficient. If you struggle with constant hunger, this will not change until you alter your diet and began eating nutrient dense foods. There is another side to this coin, and that is the environment and process in which our food is created can have grave effects on the integrity of our intestines and gut. Most our absorption from the foods we eat take place in the jejunum and ileum (small intestine) however the small intestine can only absorb amino acids, monosaccharaides, nucleotides and fats which leaves everything else to be filtered by the liver. Our livers are meant to take care of very small amounts of materials, but our American diet now has it on overload. Many Americans are in danger of what is medically referred to as “Hepatotoxicity” which in laymen’s terms means chemically driven liver. Any processed food, fake drink, herbal supplements goes through the liver. This is a dangerous condition and it proves that our bodies are not meant to ingest processed chemically created foods,and the scary reality is the American economy is driven off processed foods. In order to lose weight and gain health we need to work with our bodies, by giving them a nutrient dense diet. Any crash diet while it may temporarily fix weight gain, it will never solve the root cause; nutrient deficiency. Eating a clean, processed free, balanced diet will not only bring our body to a state of health you will notice a decrease in unexplained appetite and a loss in excess fat. At the end of the day you do not have a lack of will-power you have a lack of nutrients! This entry was posted in crossfit, diet, exercise, fitness, health, wellness and tagged crossfit, diet, exercise, fitness, health, weightloss. Bookmark the permalink.